Fawzi BenMessaoud has been involved in higher education for more than 29 years as an educator, administrator, and academic leader at the campus and corporate levels. An active accreditation team chair and evaluator since 2001, he’s directed several international projects as a software developer. BenMessaoud has worked for several years as an intelligence analyst, and he instructed intelligence courses prior to being selected by the FBI as a special agent. He has conducted several technology integration programs and has designed, developed, and successfully mapped an information security systems program to National Security Agency Information Assurance standards, which received NSA Committee on National Security Systems approval in 2007. He has directed several teams to design, develop, and deliver content, including interactive learning and assessment materials at all academic levels. BenMessaoud worked directly with Jack Welch and designed the Jack Welch MBA program (now the Jack Welch Management Institute). BenMessaoud has designed and integrated lab simulation to deliver information security system courses online. This project was selected among top 101 Best Practices in Integrating Technology with Higher Education for 2005 by Campus Technology magazine. 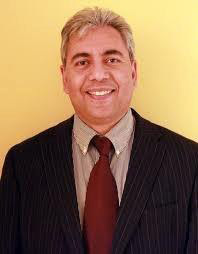 In addition, BenMessaoud has presented at several international and world conferences on instructional technologies, educational media, and technology integration.